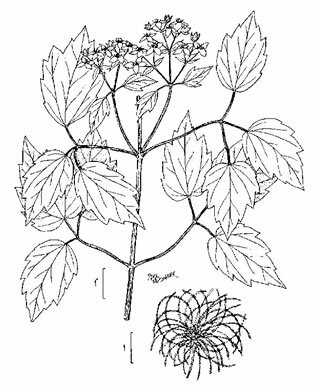 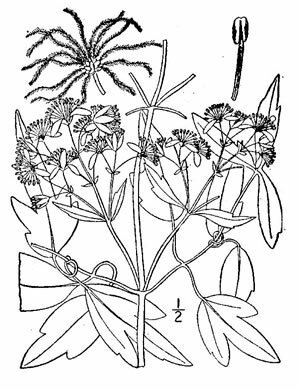 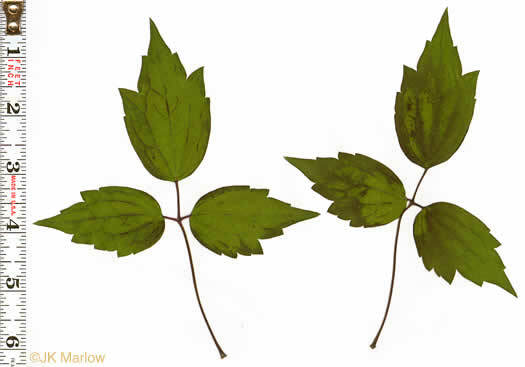 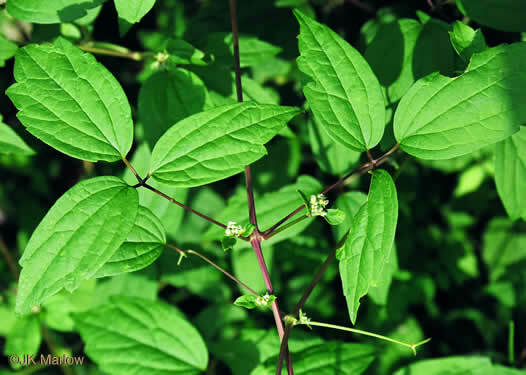 3 ~ symmetrical leaflets (vs. 3-many irregular leaflets of C. viorna & crispa), per Weakley's Flora. 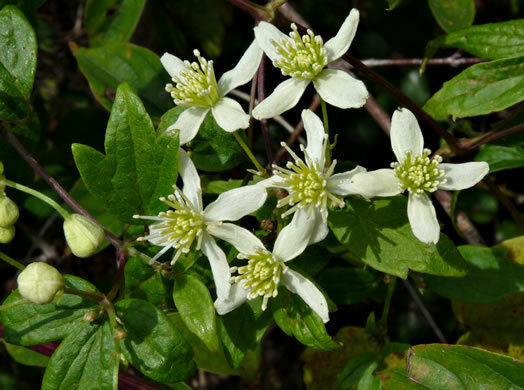 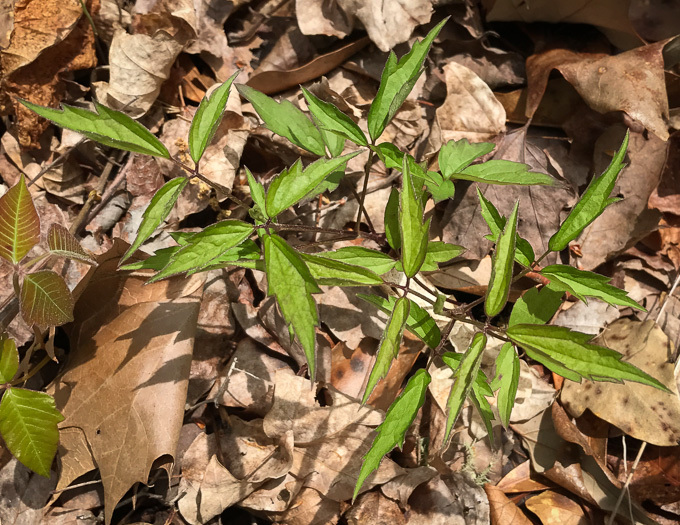 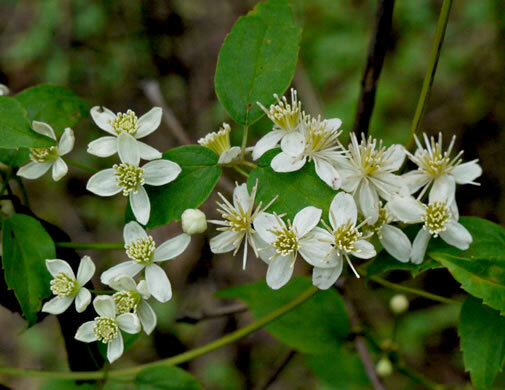 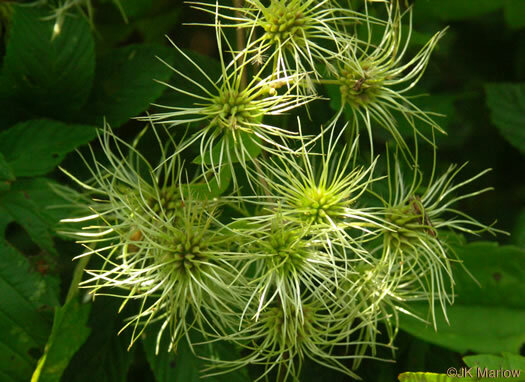 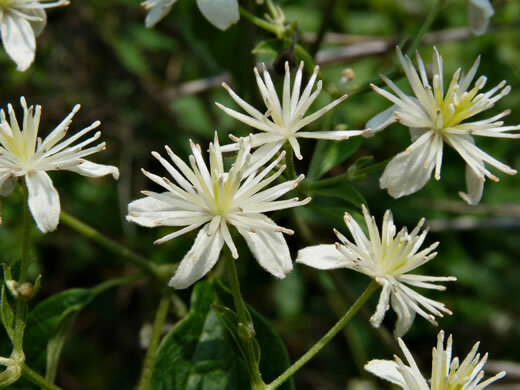 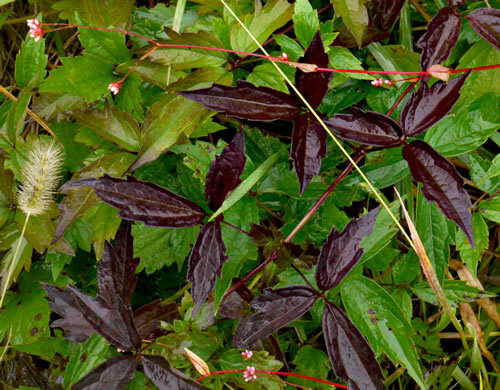 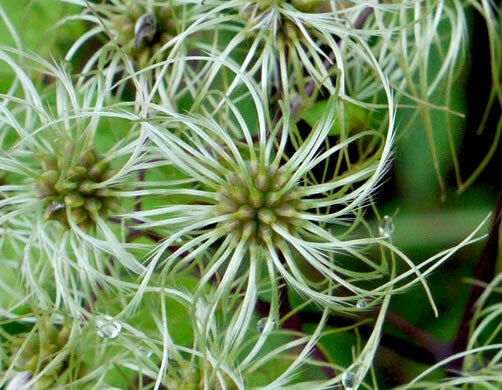 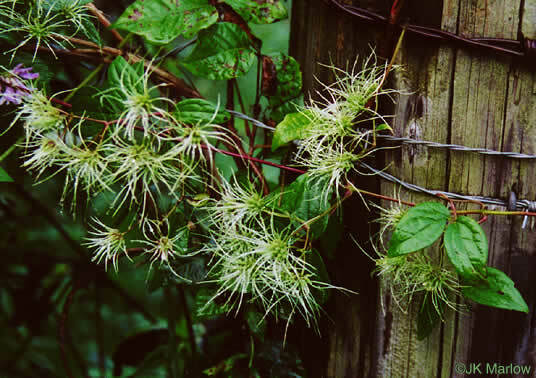 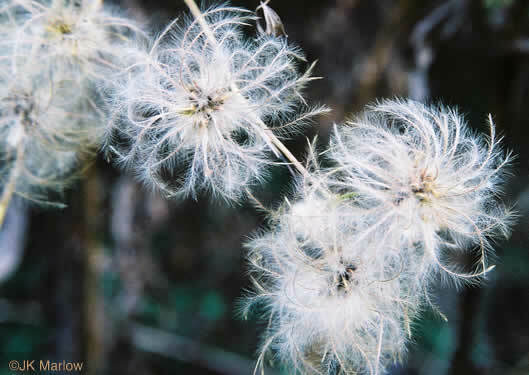 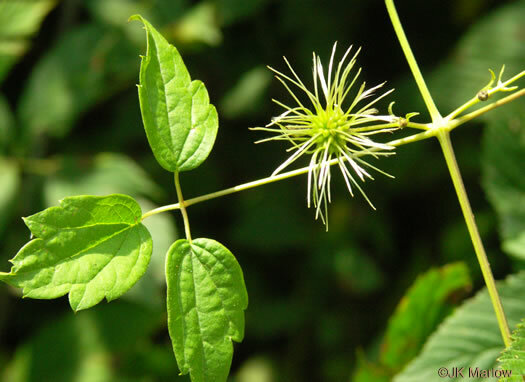 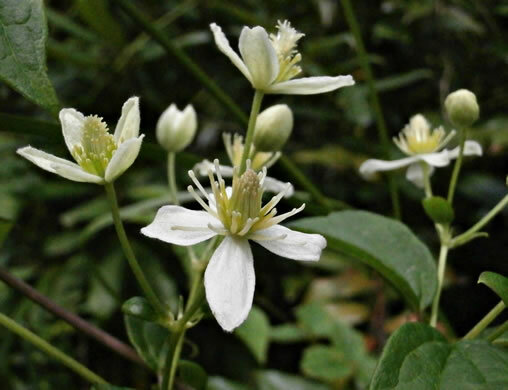 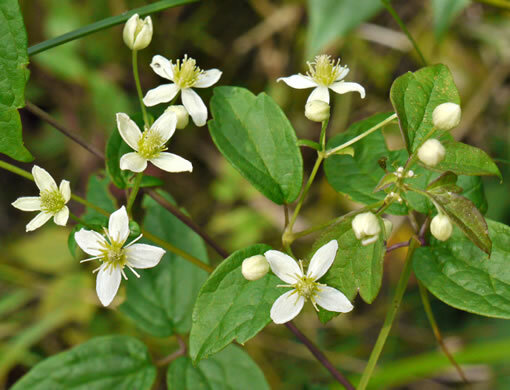 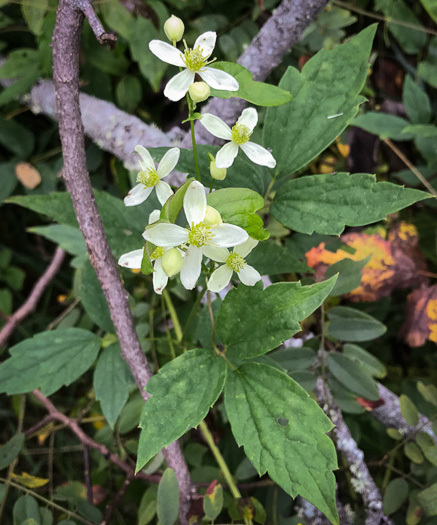 Clematis is unique within the Ranunculaceae in having opposite leaves, per Wildflowers of the Southern Mountains. 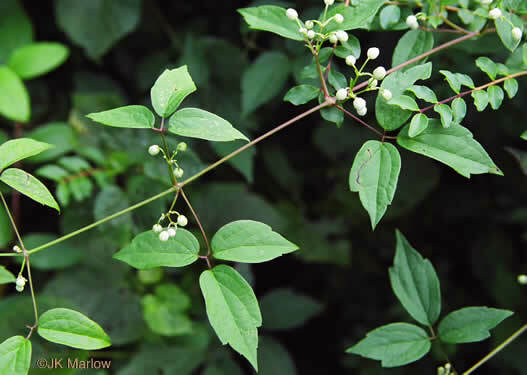 Both this & C. terniflora have 4 white oval spreading sepals about 1/2" long, per Wildflowers of the Southern Mountains.